Jubaili Bros is known to be one of the most popular generator brands when it comes to top quality heavy-duty generators in Nigeria. Unlike other generator brands that focus on producing generating sets with every power rating to suit the needs and income level of average Nigerians, Jubaili Bros generators are mostly targeted at factories, companies, and big organizations. Their generators are known to be one of the most efficient generators on the market. They are also silent as the company focuses on only soundproof diesel generators. Jubaili Bros produces generators with a power output as low as 9KVA to as high as 2500KVA. This review focuses on Jubaili Bros generators & their prices in Nigeria. This brand produces one of the most durable and efficient heavy-duty generator sets and frankly, they are quite expensive; this might be due to the high-quality materials used in the manufacturing the generators. Presently, there is no information on the prices of new Jubaili Bros generators, which means you have to check their offices in Nigeria. They currently have offices in 6 parts of Nigeria including Lagos (Apapa – Ikeja – Victoria Island), Kano, Port Harcourt, and Ibadan. 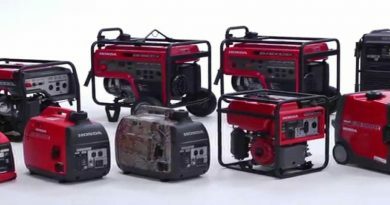 Most new Jubaili generating sets are quite expensive and this forces some users to rely on second-hand (fairly used) ones. You can get these generators from online marketplaces like Jiji and Olx. The advantage of buying used generators is the cheaper amount compared to buying a new one. Note: The prices stated above are simply prices you should expect when purchasing a used Jubaili Bros generator; the actual prices may be slightly higher or lesser. Prices are not static and change due to a number of factors including currency exchange rates, location, and the salesperson. The main factor that affects the prices of used Jubaili Bros is the number of years it has been used. The longer the period of usage by the original owner the cheaper it would be if he chooses to resell it. A 150KVA generator that has been used for several years, can be gotten at a much cheaper price than a 135KVA generator that has only been used for a few months. JET (Jubaili Engineering Technology) diesel generators are powered by Perkins engines coupled with top quality parts such as deep sea controllers, Leroy-Somer alternators and ABB components. Perkins is known to be a reputable product in the generator market and is a component in the generators produced by several other generator brands like Mikano. 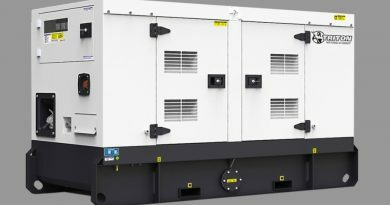 JET Diesel generators consist of a wide selection of standby and prime models at 60 and 50 Hz respectively. The applicable voltage range for the 50Hz application is 380V to 415V while that of the 60Hz application is 380V to 480V. They are available in almost every required power output starting from 15 KVA and ending at 1000 KVA. Below are the available power outputs of JET diesel generators. Marapco diesel generators are one of the biggest diesel generators based on power output. They are powered by MTU and Perkins engines and include important components such as Leroy-Somer alternators. Marapco generators are built to withstand diverse operational conditions. They are also tested to the highest international standards before being shipped out for sale. Users are also allowed to request for customization by choosing their own ancillary equipment and performance options to ensure outstanding performance. Just like JET diesel generators, Marapco diesel generators are covered by a one-year warranty against manufacturing defects. Marapco diesel generators are available within a power output range of 12.5 KVA to 3300 KVA. 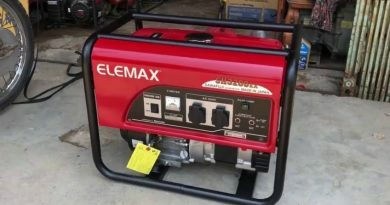 Every generator user would dread the scarcity of spare parts for their generator sets as this would mean they can no longer use it. This is why it is paramount to purchase generator sets from popular brands with spare parts readily available on the market. Jubaili generators spare parts are readily available and you won’t have to purchase them from any spare parts market. Rather, you will obtain it at any of their offices in Nigeria. The after-sales support system offers maintenance, technical support and sales of spare parts to users of their generating sets making it more convenient than ever. If you are buying a used one, then it is important to take with you someone who is conversant with the operating system of heavy-duty generators to test-run and check the generator for faults and defects. Jubaili Bros Generators are fuel efficient as they use diesel instead of gasoline (petrol). They are also quite advantageous as they are durable. This means they would last longer than generating sets from most brands. Although they are quite expensive, they are certainly a great choice for those who wish to get the value of their money. They require little maintenance and their fuel economization feature means that you wouldn’t have to spend much running the generator compared to models of most other brands.